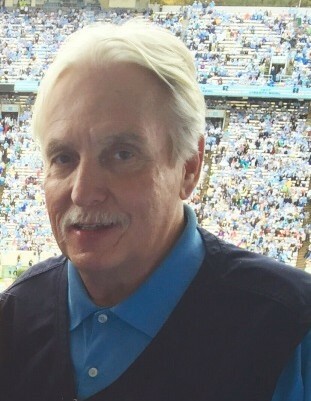 Gene (Craig) Land, 68, passed away on Wednesday, August 15, 2018 at Duke Hospice Hock Family Pavilion in Durham, NC. He was born in Whiteville, NC on July 25, 1950 to William Claude Land (deceased) and Kathleen L. Hayes Roberts. Craig was the husband of the late Pamela (Pam) Prevatte Land. He attended Whiteville High School, Southeastern Community College, and The University of North Carolina at Pembroke. Craig had worked as a Project-Planning Analyst for Shearon Harris Nuclear Plant prior to retirement. Craig was a compassionate son, loving father, and an avid sports enthusiast. He is survived by his daughter, Lindsey “Nicole” Land of Durham, N.C.; mother, Kathleen L. Hayes Roberts of Whiteville, N.C.; brother, William “Chris” Land and sister-in-law Cathy Land of Warrenton, G.A. ; brother, John Ricky Land of Whiteville, N.C.; nephews, supportive aunts, uncles, and cousins; the family members of his deceased wife, Pamela (Pam) Prevatte Land; as well as many close friends and former coworkers. The memorial service will be held at 4:00PM on August 25, 2018 at Worthington Funeral Home in Chadbourn, NC. There will be visitation immediately following the service.